Hal Shaffer, born the son of Harold and Faye Shaffer in the state of Alabama, has lived a life of adventure from an early age. He took his first buck at the age of 13 in the southern wood of North Carolina. 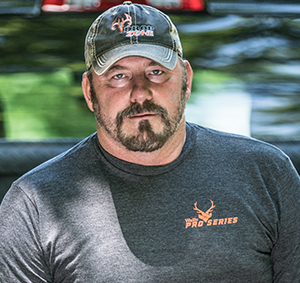 In 2003 Hal started Carolina Outdoors TV and brought on Ken Cobb as his co-host and for the next five years, they worked their way through rankings and networks to the pinnacle show “Hunting, The World Southern Style.” After having Zippy on a hunt in 2005, Hal and Zip became good friends and now have taken it to the next level with the birth of Team Drop Zone TV a show dedicated to making every town they visit a part of this high energy show!